In 1997, a website was born. It was developed as a tool to help potential buyers for Michaud Bus Sales, Inc. Buyers were able to search through Michaud’s inventory and find the bus that best fit their needs. Being the first of its kind, it revolutionized the way the bus industry bought and sold pre-owned buses. The second generation of BusesOnline.com was developed in 2010 making it a fully interactive online marketplace for the entire bus industry. Now, buyer and seller were brought together directly. The seller could save money on commissions while the buyer could benefit by finding what they were looking for fast and easily due to our vast online inventory. And because BusesOnline.com was already the largest online marketplace for buses and conversion coaches, sellers were able to reach many more potential buyers then ever before, resulting in quicker sales. The innovative and useful tools kept the website in the forefront of online bus sales. On February 1st, 2016 the third generation was released. And again, we continue to break new ground. We have new dealer features, a larger more user-friendly design, a robust Products & Services Directory, advanced social media integration, and the latest in SEO technology. You asked, and we listened! We’ve designed a program for new and pre-owned dealers to optimize exposure and increase sales. Dealers now have a webpage where potential buyers will learn about their business, connect with them through social media and view their inventory, which ultimately provides a more comfortable and trustworthy purchasing experience. 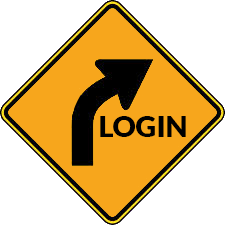 Dealers also have better tools to track, update and manage their inventory within their dealer account. As the most visited website for buses, we get dealers proven results. This new website is redesigned from the ground up, improving on an already well-known model and adding many new features that take advantage of the latest technology. We have simplified the layout and given it a much larger footprint which makes for easier navigation and gives us the largest photos and advertising space available. Realizing that approximately half of our users interact with our website from their phones or tablets, we are now 100% mobile compatible. As the largest marketplace for the bus industry, SEO (search engine optimization) is and always will be a major focus. We want to be sure we stay on the first page in the search rankings so buyers find your ads first. Our history doesn’t begin as a web start-up; it spans back 4 generations to 1914 when our great-grandfather began his bus company. We grew up in the bus industry, worked in most roles, breathed the diesel exhaust, had our elbows deep in grease, and were wakened by the phone calls at 2am. We worked hard to keep a good reputation and help others. We carry on those traditions and look forward to helping you today and in the future. We are BusesOnline.com. Our History: Over A Century Long And Still Going Strong! In 1914 Eudger J. 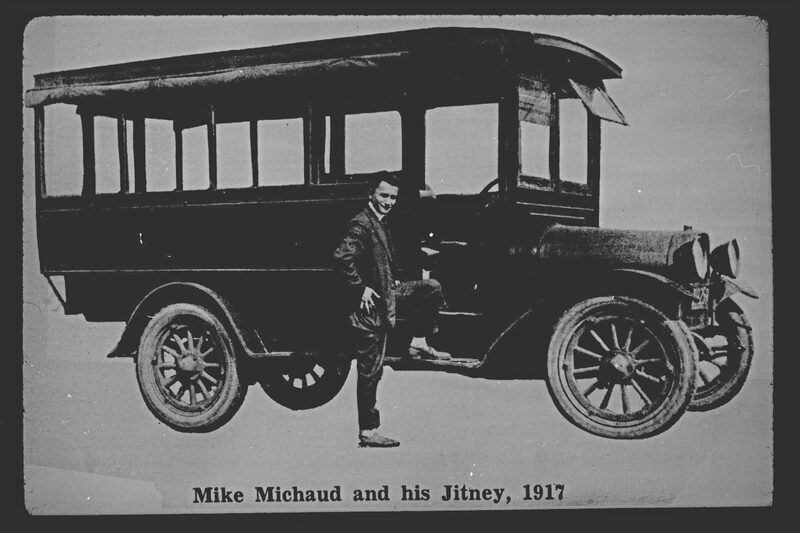 “Mike” Michaud purchased a Ford Model T Jitney, and began operating regular route service on Boston’s North Shore. 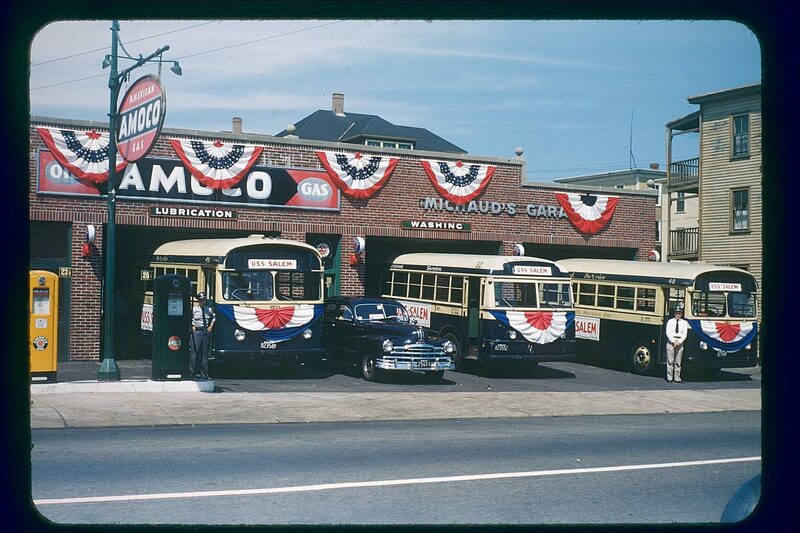 By the late 1920’s Mike had moved into a new location at 250 Jefferson Ave. Salem, Massachusetts and expanded his fleet to include some REO’s and a few White Buses as well. 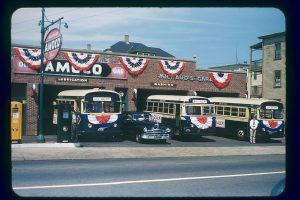 1948 began a new chapter in Michaud Bus Lines’ history as J. Alex Michaud retired from the U.S. Navy, as a full Commander, to take the helm of the company that owned six buses and had minimal operating authority. “Alex”, realizing the importance of operating authority, worked diligently on obtaining more rights through the purchase of other bus companies, and by pioneering the first ever “round-trip special” tour authority. This, combined with the safest, cleanest, well-maintained fleet of modern coaches, helped Michaud Bus Lines to become one of America’s most respected charter and tour operators. With the help of his sons Jay, Spike, Biff and Gig, Alex built Michaud Bus Lines, Inc. to over 40 motorcoaches, 55 transits, and 440 school buses, operating regular route service, thousands of charters and more than 1,500 escorted tours per year throughout the United States, Canada and Mexico. After graduating from college in 1964 with a degree in mechanical engineering, Alex’s second son, James R. “Spike” Michaud was entrusted with the position of Superintendent of Maintenance and Safety for Michaud Bus Lines. The title Vice President of Maintenance and Operations was awarded to Spike in 1970. He served on the Board of Directors of the New England Bus Association, Eastern Bus Maintenance Management Conference, and the New England Passenger Transportation Association. His maintenance and operations position also led to the buying and selling of new and used coaches as the company fleet grew. 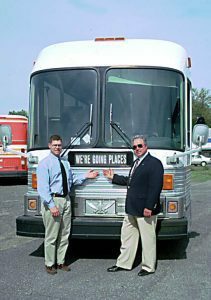 The experience and respect he received in the bus industry helped Spike to become extremely successful in the bus sales division. In 1991, Spike decided to branch off on his own, creating Bus Sales Northeast. He concentrated on selling good, quality pre-owned equipment to include minibuses, transits, and inter-city coaches. Spike also provided professional appraisals for bus companies as well as banks and leasing companies throughout the United States. 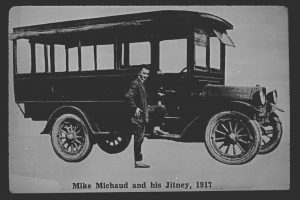 Like his father Spike, Jim Michaud grew up in the bus industry as well. Working after school, Jim washed and fueled the buses as they came back from their school runs. He would work full time during school vacations and summer breaks in the maintenance department. As soon as he was old enough to drive the buses, he was working for his father, delivering sold buses all over North America. Jim decided to get some sales experience outside the family business, so he sold new and used cars and trucks for a major automobile manufacturer. Then in 1995, the opportunity arose for Jim to join Eagle Coach Corporation as their Northeast Sales Representative. Within two years Jim became Eagle’s top salesman. 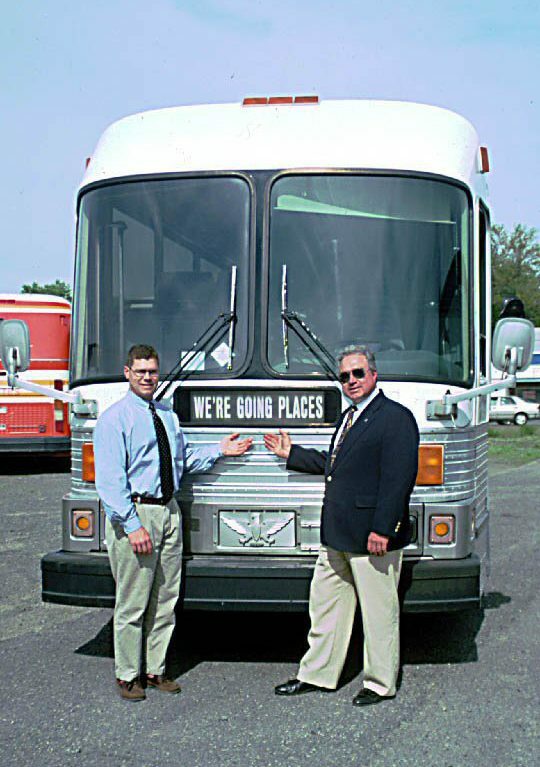 Michaud Bus Sales, Inc. was formed in January of 1997 when Jim Michaud joined his father Spike. Together, through their inventory and national network, they provided customers with the sales, brokerage, and consignment of select pre-owned inter-city coaches, transits, minibuses, and conversion coaches. Michaud Bus Sales Inc. leaped into the new Millennium with their computerized appraisals, web-site services, and state-of-the-art computer systems. They also moved into a new facility located in Brentwood, New Hampshire where their could now have the offices, shop and inventory all at one location. 2010 saw major changes for Spike and Jim. The appraisal business was getting very busy which brought Spike to create another new business: Michaud Bus Appraisals, LLC. Jim was also very busy developing his new vision for BusesOnline.com. Today, you will find them both very busy in their businesses. Both still helping the bus industry they love so much.